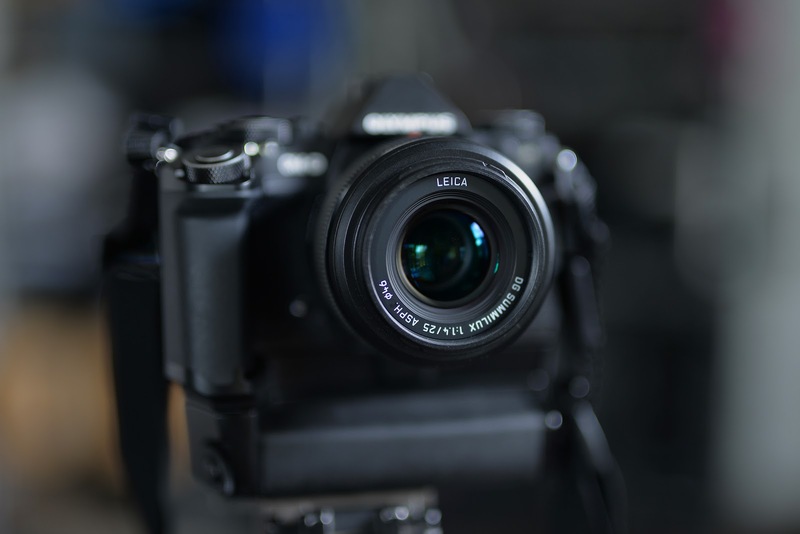 Three Distinct Ways to Build Your Olympus Micro Four-Thirds Len Inventory. (but you can always mix and match). If you bounce into and out of systems, never plan ahead and then waste money like a drunken camera rep then you've just about gotten into the flow of how I plan my equipment acquisitions; and especially lens buying. But if I, for once, walked into system absolutely cold and could buy all the lenses and accessories in any fashion I chose I would follow one of these three plans I'm going to outline below. Each is predicated on looking the camera system differently. One potential buyer wants the system because it can be small and light. Another buyer wants it because it can produce great images in a smaller package that the big, full frame cameras and this buyer wants to maximize quality while covering every possible focal length. The third buyer is looking to use the system with primes to squeeze, potentially, the last picoliter of quality out of the system. Everyone else is some sort of elastic collage of the first three types. The easiest way to buy into the Olympus M4:3 system just changed. With the introduction of the 7-14mm f2.8 Pro zoom lens the user can make the same choice so many professionals and advanced enthusiasts do when buying a bigger Canon or Nikon system. You buy the holy trinity of super high quality zoom lenses. In M4:3 you can go two ways and not get burned in either direction. You can buy the über-cool three Olympus lenses and get the reach of optical systems that go from 7mm all the way to 150mm and have the luxury of all of them opening up to f2.8. The people I know who have the Olympus 12-40mm f2.8 and the 40-150mm f2.8 are deliriously happy with the performance of both. The 7-14mm will be available next month and should be just as good. In fact, looking at the specs and construction details, it may be the best of the three. No small praise as Olympus can be one of the best lens designers in the world when they aim for it. Three lenses, two EM5.2 bodies and you are ready to go. That would be the logical path for people who shoot lots of different stuff and want to be covered with high quality focal lengths at either end of the spectrum and everywhere in between. Staying with the same basic considerations (coverage) you could alternatively go for the Panasonic trio and the benefit you would accrue is the ability to use the lenses on either the Panasonic or Olympus system but the bonus is that when using the two longer Panasonic lenses (the 12-35mm f2.8 and the 35-100mm) on a non-Olympus body like the GH4 you'll be able to take advantage of the in-lens image stabilization. If you are solely a Panasonic shooter this is probably the better choice. If you're sporting the OMD cameras you'll get more on the telephoto end of each of the longer Olympus lenses than you will with the Panasonics and you'll be taking advantage of the in-body I.S. I can speak directly to the quality of the Panasonic lenses having own the all three and used them extensively in video and stills. The 7-14mm f4 is one stop slower than the upcoming Olympus version but is smaller. I found it to be sharp wide open but with a bunch of vignetting at max aperture. That goes away mostly by f4.0 and completely by f5.6. People can grouse about "equivalence" till the coffee gets cold but if you are using a wide angle lens like this you probably are smart enough not to expect to drop the background too far out of focus. You're probably using the lens to, A: Get everything in without backing up. and, B: You need to emphasize near/far relationships and, C: You'd like to get pretty much everything in the frame, from front to back, in acceptable focus. I like the Panasonic lenses a lot. Even after the last big purge I just couldn't let go of the 12-35mm, it's really, really good. All three are well designed, well behaved and as sharp as you'd want them to be. At this point you could just stop, say, "That was easy as pie." and go about the business of making cool images. Unless..... you fall into the minimalist category. If I wanted to go super stealthy and ultra-pared down I would be using one body and two lenses. You couldn't go far wrong with the Olympus 17mm f1.8 and the Olympus 45mm 1.8 lenses. Both are small, light, well designed, sharp and relatively cheap. When I want the maximum flexibility with the minimum fuss I drop those two lenses into a bag along with an EM-5.2 and one of the new, little Olympus flashes that comes packaged with the new OMD camera and I'm pretty well set for artsy/photojournalistic style shooting. In this arena I'm also going to go for the ultimate snob choices because I secretly believe that the zooms are so good that most (98%?) of users are never going to see a real difference in overall quality. Where they will see the difference is in maximum apertures and depth of focus control. This is the part of the market that will want prime lenses. Single focal lengths. Fast glass. A little more stabilizing heft in the hand. While the zooms are good at wider settings the single focal length Olympus 12mm opens up to f2.0 and is pretty sharp all the way through the aperture range until you hit f8 where diffraction kicks in, as it does with just about every lens in this sensor format and size. The maximum aperture is quite usable and it low light it gets you one full shutter speed stop faster than the zooms. Next up you could pretty much take your pick between the Leica 15mm f1.8 and the Olympus 17mm 1.8. I'd go with the Leica as it sits in the middle between the typical 28mm equivalent (for full frame) and the most popular medium wide lens which is a 35mm equivalent (for full frame). Since me next choice will always be the 25mm Leica f1.4 Summilux the 15mm makes more sense for me as I think the 17mm and the 25mm are pretty close to each other and I either want to go long (the 25) or I want to go obviously wider (15mm). Both are good lenses. The 17mm seems to be optimized for a flatter field and more uniform sharpness all the way across (better if you like to photograph brick walls) while the Leica seems optimized to have higher sharpness in the center and shrugs away the lack of sharpness in the corner as being endemic to the overall design. In other words, a compromise. I've owned the Leica 25mm Summilux f1.4 since it hit the market three or four years ago and I like it very much. It would be hard to persuade me to go in another direction. Fast, sharp, small and contrasty. It's everything I want in a normal focal length! Next up is the short telephoto. While Olympus has their very good and very small and relatively cheap 45mm f1.8 in this range and Panasonic has just introduced their version of the lens, if you are going to set up a whole system rationale based around optimum quality you can't duck out on this one. It's got to be the Leica Nocticron 42.5mm f1.2. If this lens ever sits on your camera mount, even for a moment, and you pick it up and shoot with it wide open there's no way to resist it's gravitational pull. Sharp at f1.2. Sharp at f8.0 and sharp everywhere in between. It feels great and the images it generates are breathtaking. Add to this the fact that the lens comes with image stabilization for those GH4 sometimes video shooters and you'll be forgiven for starting to think that $1400 might just be a bargain for everything you are getting. But don't stop there. There are two other lenses to snag before we stop putting together the super-image-quality-prime-lens option. While the 45mm gets you into a nice, short telephoto that's good for most casual portrait work you'll want to pick up the cheapest great lens in the system for tighter headshot and anything that needs a bit more compression along with freakishly good image quality. That would be the Sigma DN 60mm f2.8. It's a gem. I find mine to be sharp, wide open. It's a nice, longer medium telephoto length and you'll only be out about $200. It's an amazing bargain. And it fits beautifully on an EM-5.2. We round out the system with the almost obligatory Olympus 75mm f1.8. Long, sharp, fast, elegant... I'd get mine in silver. Don't know why but I would. And I would use it in the middle of the Summer with my chrome EM-5.2 body and it might even stay cooler....but I wouldn't count on it. Those are my takes on approaching the Olympus system when it comes to lens buying. But you can always go a totally different way if you are a contrarian. For example, one weekend I was shooting downtown and a friend walked up and loaned me his Sigma 60mm dn lens, telling me I just had to try it. I did. I shot with it on the older EP-3 for a couple of hours. I post processed the files the next day and I was surprised at the overall quality of the files. At f4.0 there wasn't a single criticism I could level. I cruised to Amazon.com at the end of my editing session and bought all three of the focal lengths, the 19mm, 30mm and the 60mm. I had owned the earlier versions of these lenses in the Sony E mount and I had chalked up their good performance to the 24 megapixel sensor on the Nex7. Now I understood that they were just really good lenses regardless of the camera. I bought mine in black. I wish I'd bought the silver ones just because they look so different and so much like pieces of modern, minimalist sculpture. Once you have your system put together you'll be ready to head out and shoot just about anything that comes along and still know that you've got great tools in hand. Next time I'll do some comparisons with the ancient Olympus Pen FT half frame lenses. You don't need to rush out and buy them but they do have completely different look to them and sometimes the aesthetic differentiation is just as important for a project. One last thing: If you've decided on buying an EM-5.2 you might consider two extra batteries. If you shoot a lot of video then make that four extra batteries. If you think the Oly batteries are too expensive you'll be happy to hear that I've been using the Wasabi Power batteries (less than half the price) for several years, across a bunch of Olympus cameras and have never had issues.